A flowing handwritten calligraphy makes a dramatic statement on these romantic wedding invitations. Shown in black with a solid envelope liner and belly band, both in dusty blue. 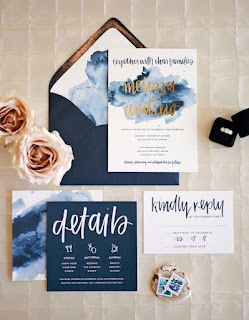 Handwritten calligraphy wedding invitations are professionally printed on what the customer's choice of cardstock using a high quality commercial press that results in bold saturated color and crisp text. 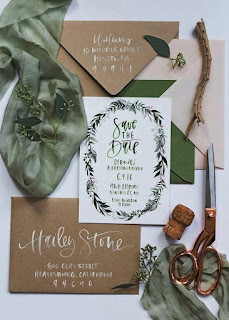 Wedding invitation suites are sold as a customizable package. Only the options you select will be included in your suite. 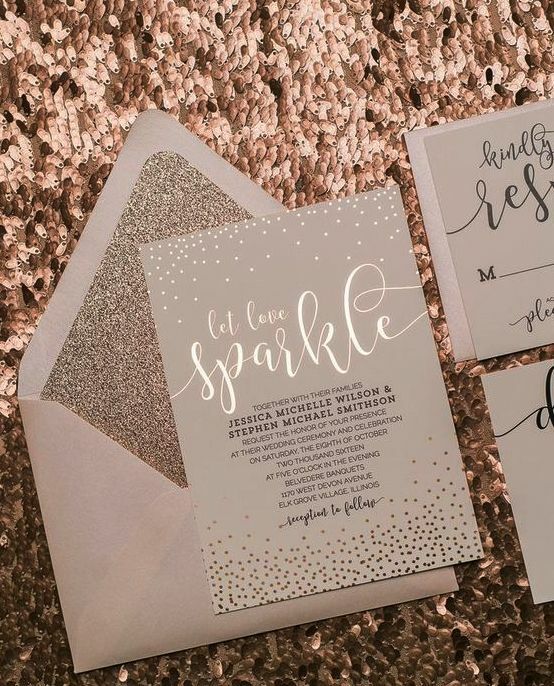 Graphics, text, borders, belly bands, and envelope liners are color customizable. 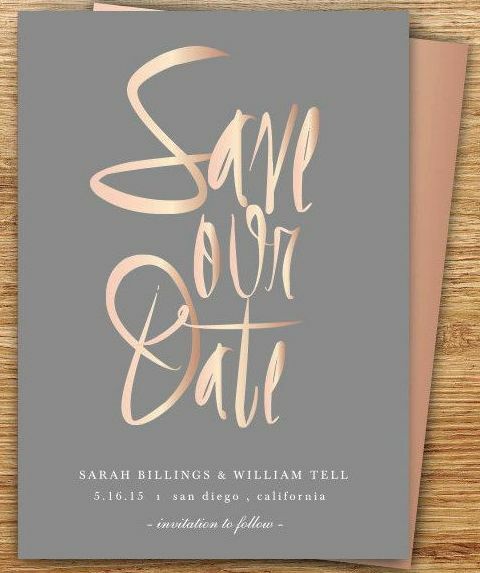 Multiple colors may be used at no additional charge. 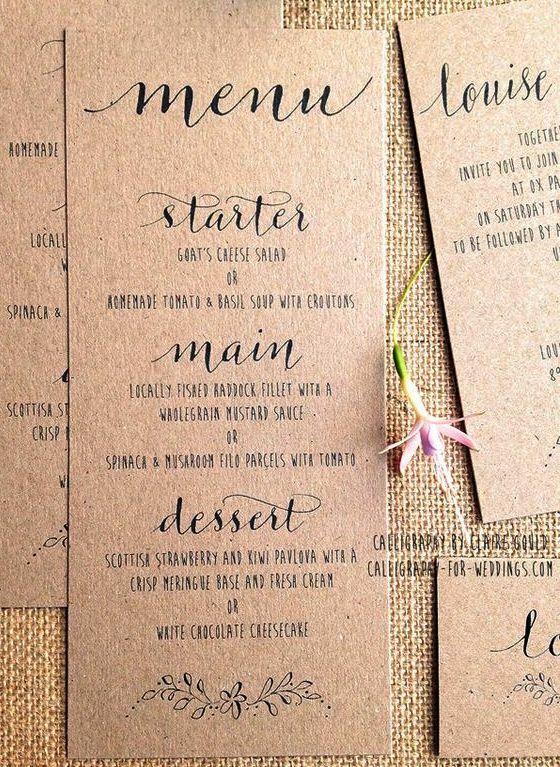 The wording is also totally customizable. 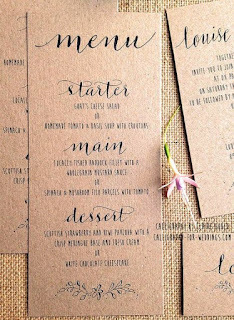 All handwritten calligraphy wedding invitations include personalized PDF proofs created by a designer and sent via email for your review. 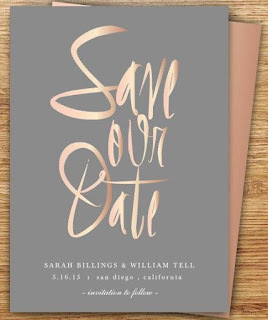 Two complimentary revision rounds are included for wording, color and minor layout changes. 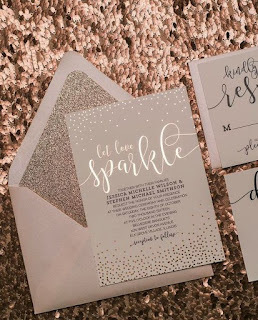 From your wedding invitation envelopes to your favor tags, handwritten calligraphy will give your wedding paper a luxe, stunning and elegant look. 0 Response to "Handwritten Calligraphy Wedding Invitation"